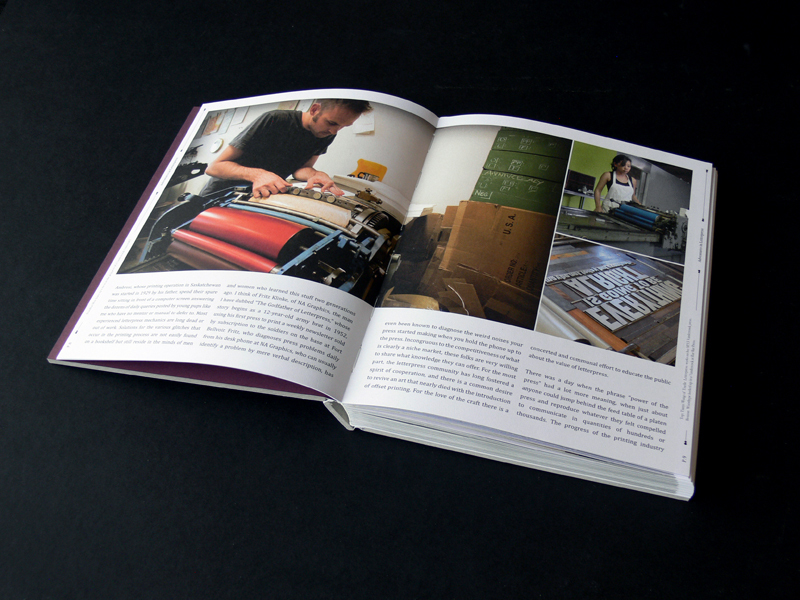 P.8: Brandon Mise lines up a sheet on the grippers of a Vandercook Universal I.
P.9: Top: Tianyi Wang of Tiselle Letterpress works on her SP15 Vandercook press. 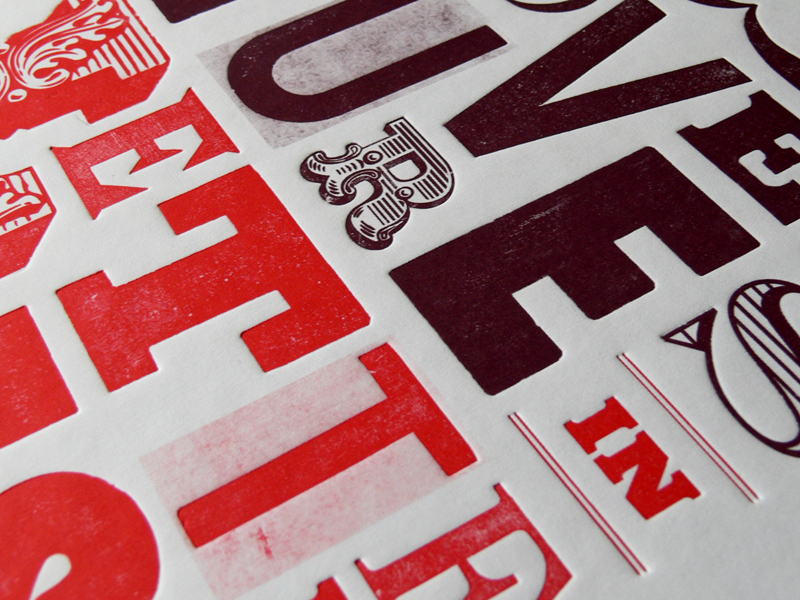 P.9: Bottom: Woodtype locked up in a Vandercook at Rar Rar Press. 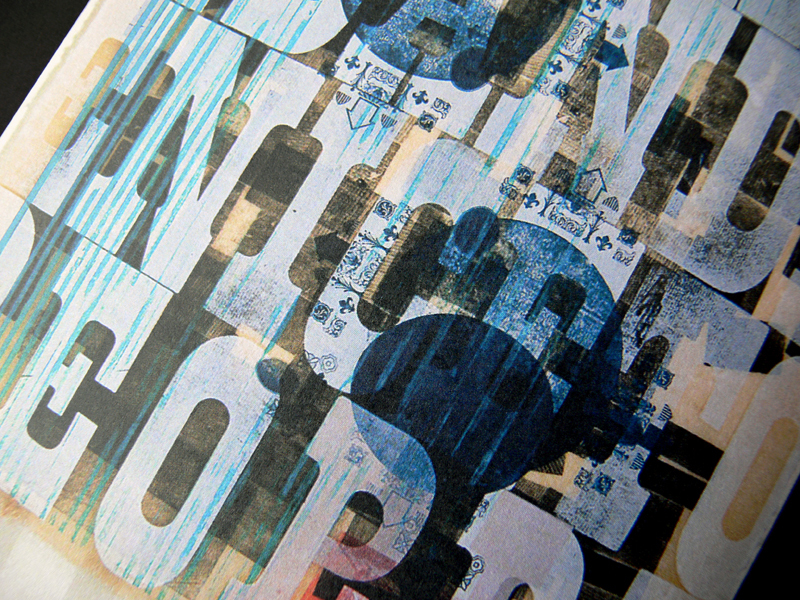 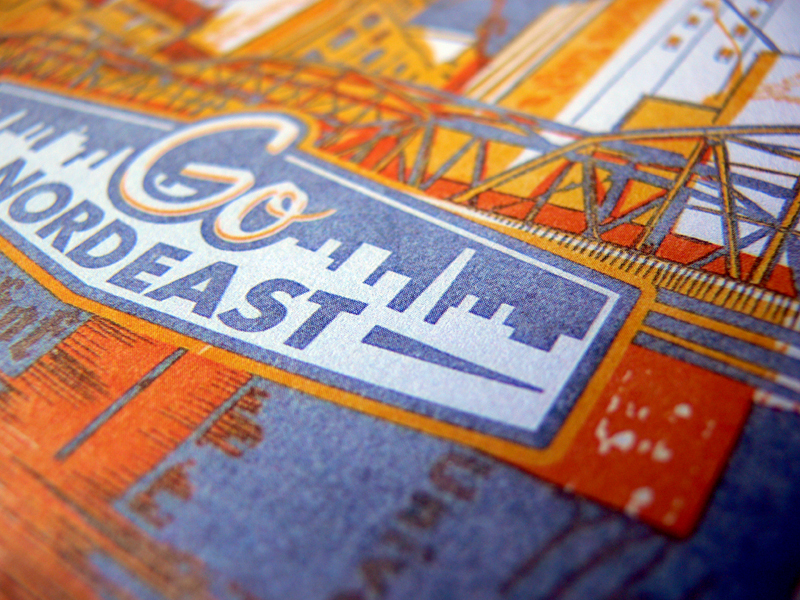 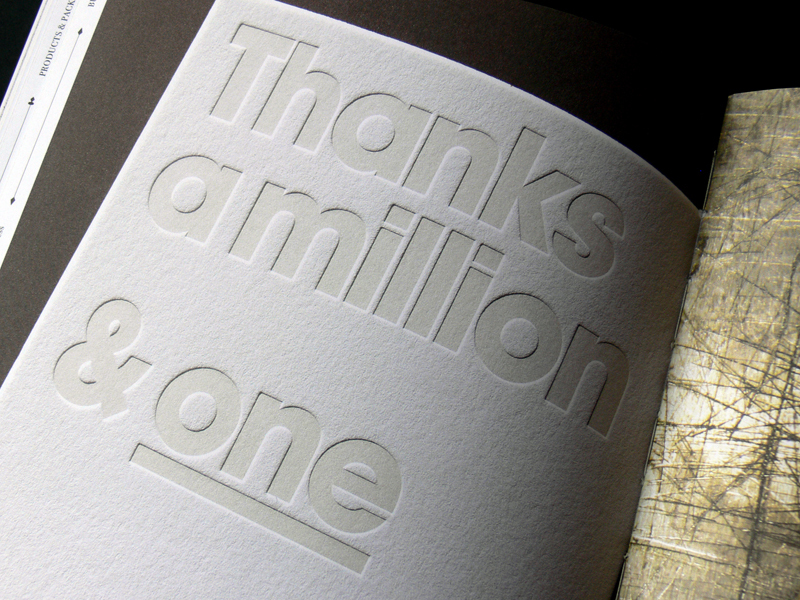 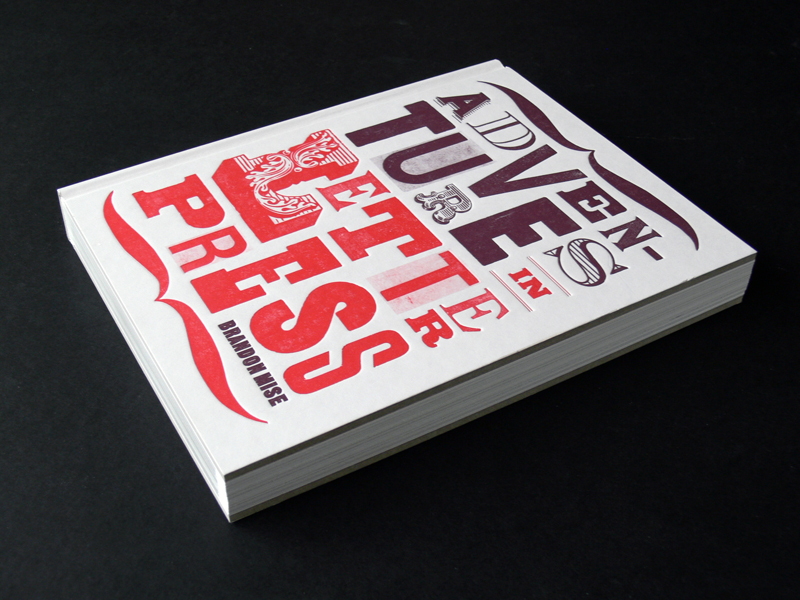 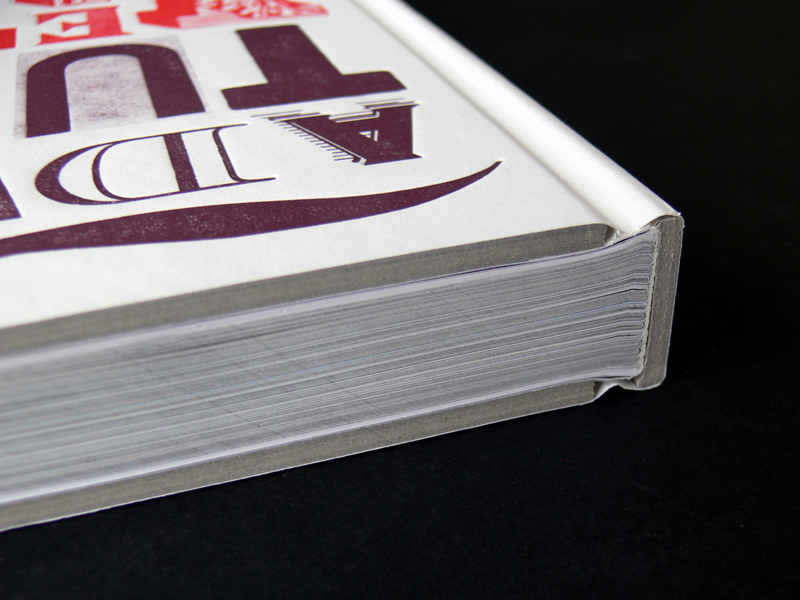 This publication explores may aspects of Letterpress printing. 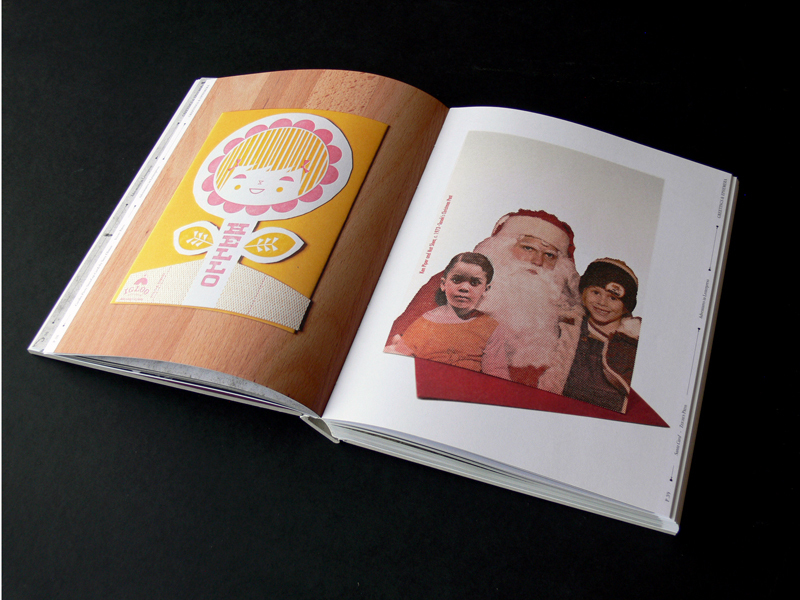 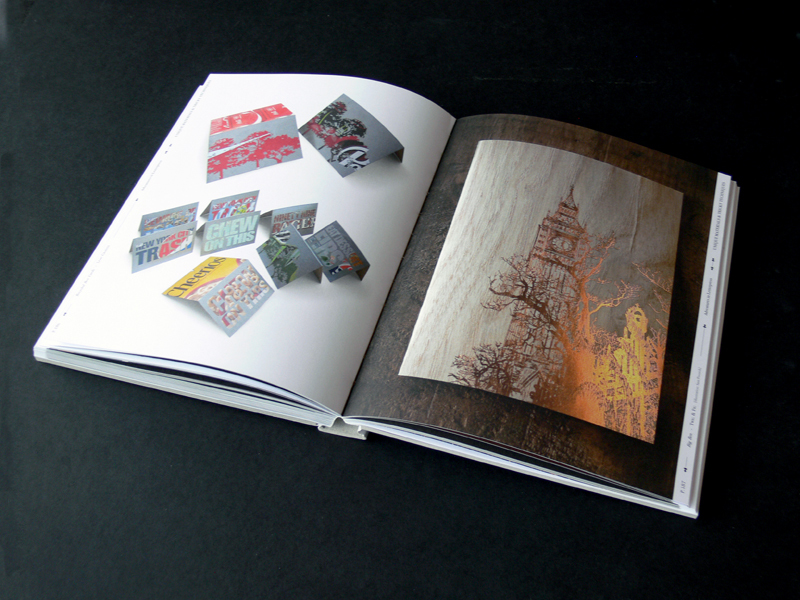 It is structured into categories and themes such as: press humor, greetings and ephemera, products and packaging, business, politics, animalia, retro and the weird, typography, book structure, unique materials and tricky techniques as well as posters and broadsides.